If you enter our new Americas zone you will get to see our friendly lowland tapir Alf! He’s normally found hanging out with his friends Clarence the capybara and the three stooges aka our greater rhea. Favourite Food: Banana, but it’s only used as a treat! His day to day favourite is sweet potato. Tapir are thought to be the most primitive large mammal in the world and have been around for 20 million years! They love to swim and can use their trunk like a snorkel. Baby tapir are spotty and striped to help them to camouflage into their environment. They poo in the water to help mask their smell from any predator that may be hunting them. 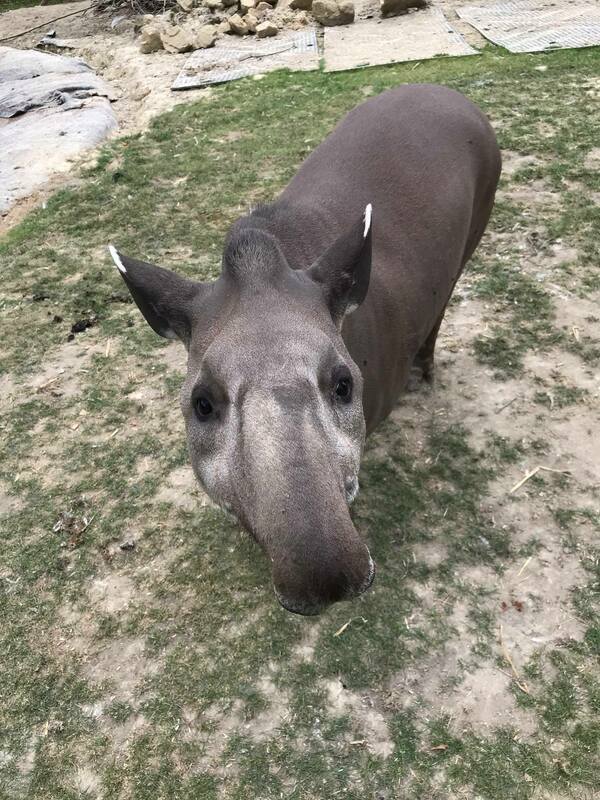 If you’re a huge fan of tapirs, you can even book a Tapir Time Experience with Alf. Where you will get the chance to hand feed him and brush him. We will warn you, he is a slobbery eater but very very cute!